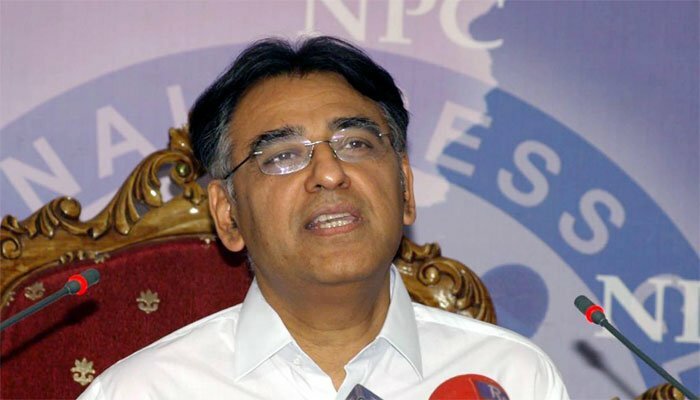 ISLAMABAD: Finance Minister Asad Umar has said that PTI government’s fight is with inflation and unemployment and not with the opposition. Talking to media here Monday, Asad Umar said government has not yet decided to go to International Monetary Fund (IMF). “We are moving keeping in view our 100-day agenda. Our performance will be evaluated on the basis of this agenda,” the Finance Minister said. He went on the say that summary pertaining to reforms in FBR has been forwarded to the cabinet. Asad Umar also dimissed reports of change in currency notes. Commenting on US sanctions on Tehran, Asad Umar said Iran is our immediate neighbour and Pakistan had trade tries with it, adding that US sanctions would also have impact on Pakistan. About future of Iran-Pakistan gas pipeline, Asad Umar said the petroleum minister was working on it.